The annotation of media content is a major labour-intensive and error-prone process, especially for SMEs. An EU initiative has developed state-of-the-art AI technology to meet the challenge of efficient and cost-effective extraction and cataloguing of media metadata. The media production industry is evolving and expanding both rapidly and globally. It's primarily driven by the exponential growth in use of mobile devices such as phones and tablets, the ubiquity of internet access and the subsequent explosive increase in demand to consume content. This has created an acute and ever-growing need for rapid, automated means of metadata enrichment solutions for media content. However, existing enterprise-level and high-end solutions are extremely costly and complex to implement for the large number of SMEs that operate in the creative sector. The EU-funded ReCAP project was initiated "in response to the rapid proliferation of media content produced to satisfy the consumer trend for accessing media content anywhere, on any device and at any time," says chief technology officer Boris Prohaska from ReCAP's commercial partner ToolsOnAir. This has led to challenges in multiple industry sectors responsible for the creation of media content. "Simply put, there are too many files, not enough time, and not enough people to view and catalogue them all. As a result, companies involved in the creation and distribution of media don't know enough about the content." Team members conceived ReCAP to tackle the resulting multiple challenges of content discovery, compliance of content with set criteria and rules, rights management and archive enrichment. The aim was to provide an affordable, automated, scalable, integrated and open commercial software solution. 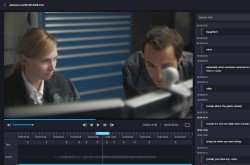 They set out to create a platform to address the real-world challenges faced in production media workflows. ReCAP leveraged existing technology developed in the EU for the analysis of media content to build an innovative solution primarily aimed at creative SMEs that need a solution quickly and don't normally have large technical teams to manage complex ICT projects. Operating in an AI environment, the software solution can process multiple content items simultaneously, faster than real time, and produce meaningful and accurate information for people, or other systems, to use. The solution enables automatic metadata enrichment. It's capable of supporting live as well as streaming content and can be deployed both locally and in the cloud. "ReCAP seeks to reduce the amount of labour-intensive, mundane, repetitive, error-prone and manual tasks typically assigned to people whose skills could be used more productively in the creative production process," explains technical coordinator Werner Bailer. Project coordinator NMR Consultancy Limited engaged with a European Commission Expert Group to assess the investment potential of products emerging from ReCAP. Independent experts evaluated leadership team capabilities, product and market readiness, and financial strategy. The Expert Group determined that ReCAP was ready for investment. Development of the system and the analysis algorithms have continued after the end of the project. In September, partners demonstrated ReCAP at IBC in Amsterdam, Europe's most important broadcast technology trade show. "ReCAP's unlimited AI offer provides the opportunity for users to focus on being creative, and saves them from the prospect of demanding tasks associated with manually tagging and logging thousands of hours of media content," concludes Prohaska. "The project also allows businesses to make informed decisions about their rich media content while providing tools for more cost-effective and efficient media content production."